Enjoy Colorado's beautiful scenery from on high. Hot air ballooning is a safe, peaceful and relaxing way to see the gorgeous Rocky Mountains and surrounding countryside from a new perspective. 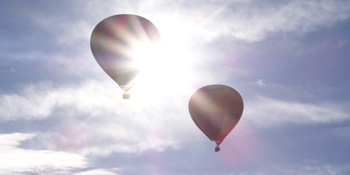 Balloon rides are generally taken at sunrise for the lightest thermal currents. A year-round adventure you will treasure. See All Activities & Balloon Rides items in Summit County, CO.